Well, for a change, I didn't go to the trouble of predicting the winners this year (which, considering the hash I made of it last year, is probably a very good thing) but there is no doubting, to my mind, that the right film won, across six major categories. 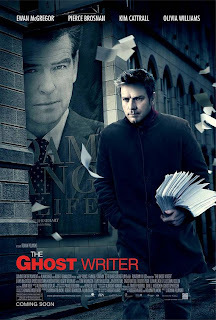 It only remains for us to congratulate Roman Polanski, whose quite excellent film The Ghost Writer (2010) did so very well, as may be seen below. The European Film Awards are increasingly becoming a good indicator for how the US Academy Awards may play out - we shall see.